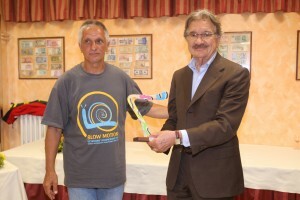 The boomerang sport community expresses its sorrow for the death of Aurelio Merlo. for those who did not follow the event on facebook, the results are published here. The Toby Oats Cup was assigned to the first classified National Team Re Motions, a special prize was given to the winners of tournament: the international team BoomerGang. In the Individual Championship the prize was assigned after only five event contested (Trick-Catch event was cancelled). The events of Gel day and Long Distance event where contested too. The new IFBA site is running and available. All IFBA members and friends are welcome! It contents: a new worldwide tournaments Calendar (of course, to be included in the list, you must send to me the info regarding your national tournament or event); a Forum where you may read and (after simple registration) write, keeping in touch with the IFBA management and other boomerang people; the list of IFBA Members; the Rulebook and some useful files and information. Ready to improve the site, waiting for your suggestions.